Vientiane (VNA) – The ASEAN Defence Ministers’ Meeting (ADMM) Retreat opened in Vientiane, Laos, on November 16, seeking to boost defence cooperation for a dynamic ASEAN. The function brought together defence ministers and representatives from the 10 ASEAN member countries and the ASEAN Secretariat. 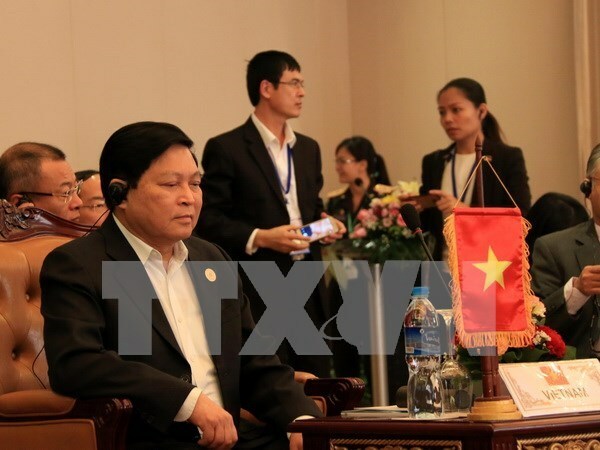 The Vietnamese delegation was led by Minister of Defence General Ngo Xuan Lich. Addressing the opening ceremony, Lao Minister of Defence Chansamone Chanyalath said cooperation within the ADMM framework has made new progresses over the years, evidenced by the establishment of new cooperative mechanisms and related activities. That demonstrated the countries’ commitments to strengthening ASEAN’s stability, unity and centrality towards building the bloc a region of peace, stability, security and development in line with the ASEAN Vision 2025. Minister Chansamone Chanyalath, however, underscored that ASEAN is facing traditional and non-traditional security threats and challenges, which cannot be tackled by a single country. Accordingly, this meeting will allow the ministers to discuss their viewpoints on defence and security issues and seek suitable measures to promptly deal with those challenges efficiently.